Bollywood superstar Akshay Kumar landed in Chandigarh for an SIT probe in violating the Guru Granth Sahib. The Special Investigation Team (SIT) is investigating an alleged deal of 100 crores between former deputy CM Sukhbir Singh Badal & imprisioned Gurmeet Ram Rahim, Chief of Dera Sacha Sauda. Kumar is leveled arbitration charges in this case. Kumar in his defence said, “I met Sukhbir Singh Badal in 2011 in a Kabaddi match in Punjab. Then two or three times after that. I know him as I know other political leaders in the country. I was busy with my movies Gabbar is Back & Baby at that time when my allegations are talked about. My wife’s tweet was also taken out of context even when it was a sarcastic jibe at Gurmeet Ram Rahim”. Kumar also said, “I & my family have immense respect for full faith in Guru Granth Sahib and Sikhism & we cannot even imagine to participate in a conspiracy against them”. 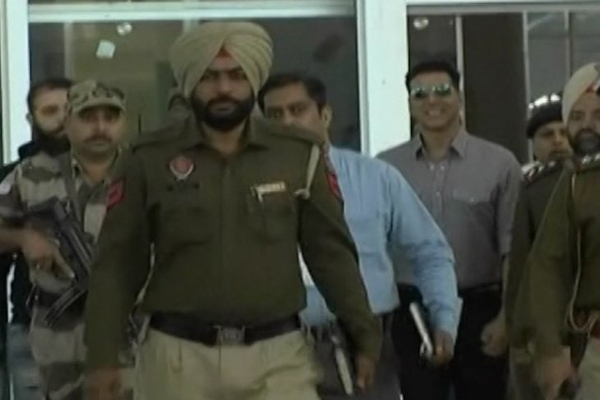 The SIT had ordered Kumar to come to Amritsar for the investigation. But the actor requested the SIT to enquire him at Chandigarh.